"You Have to Cut the Cord to Disconnect from Reiki Energy"
You can’t disconnect from the Reiki energy unless you cut the cord linking you to the source of it. Would you please elaborate on what you mean? Hi Sue, I would tell you my story but I know from experience that because of your faith you wouldn’t believe in my words. I’ll go as far to say is that I’m a Christian too and I became attuned to Reiki a decade ago and I never had peace with it and I prayed a lot to be released from it. I think that prayer can release someone from Reiki but if it doesn’t please remember this to help someone disconnect from it, a person is corded to a spiritual being from the back of the neck at the base of the skull. You must either pray and ask this spirit being to release them or imagine yourself cutting the cord that runs out of that area and ask Jesus to seal it shut. Thank you so much for elaborating! This is not the first time I’ve heard this about the spiritual connection to demons from Reiki and other forms of accessing the energy of the spirit realm. I would suggest that it doesn’t do any good to ask a demon to release anyone; but in Jesus’ name we can break the connection because His power is the strongest in the universe, and as believers we have the authority over the demonic realm (because He deputized us with His authority before leaving earth: Luke 9:1, 10:19). Thank you so much for your insight! I am glad you walk in spiritual freedom today. Hi Sue, I never said that Reiki was demonic; in fact I don’t think they are demons, I think they are spirit beings from a different belief system, but I wouldn’t go as far as to say they are demonic. The reason I wanted to be disconnected from the Reiki started because I could always feel the energy running through me and I didn’t like it and I didn’t want to be corded to a spirit being not of my faith. I’m curious, ______ . . . Do you believe Jesus is the only way to God? Do you believe Christianity is true? Hi Sue, yes I do believe that Jesus is Lord and he is my Saviour. As far as people who don’t follow the Christian path and what happens to them when they die I’ll leave the fate of the hundreds of thousands that died today and die daily all over this world in the hands of God for I believe He is pure love and if I didn’t believe that I’d be an atheist. Take care. I just wanted to respectfully set the record straight, sister ______, that there are no legitimate spirit beings from different belief systems which are legitimate alternatives to Christianity. The Christian worldview—seeing reality as God has revealed it through the Bible—is the only one that’s accurate. So that means that the spirit beings are either angels or demons (some of which deceitfully present themselves as angels, by the way). According to the Bible, there are no other choices. Which is why, filtering Reiki and other experiences like that through the grid of scripture, we can (and should, I believe) call these spirit beings demons. 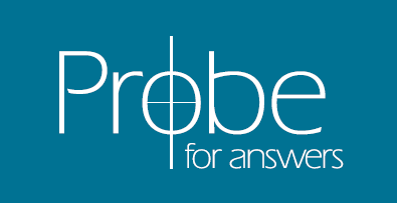 I know this is more than you bargained for when you wrote, but Probe Ministries is all about helping people think Biblically, and I wanted to offer this perspective in hopes that, as iron sharpens iron, I can help shape the way you think to help bring it into alignment with the Bible. The Lord bless you and keep you today! "Is Reiki Just Another Means to Medicine?" "What is a Christian Perspective on Reiki?" "What's the Difference Between Reiki and the Biblical Practice of Laying On of Hands?" "Can't God Use Reiki to Heal?"